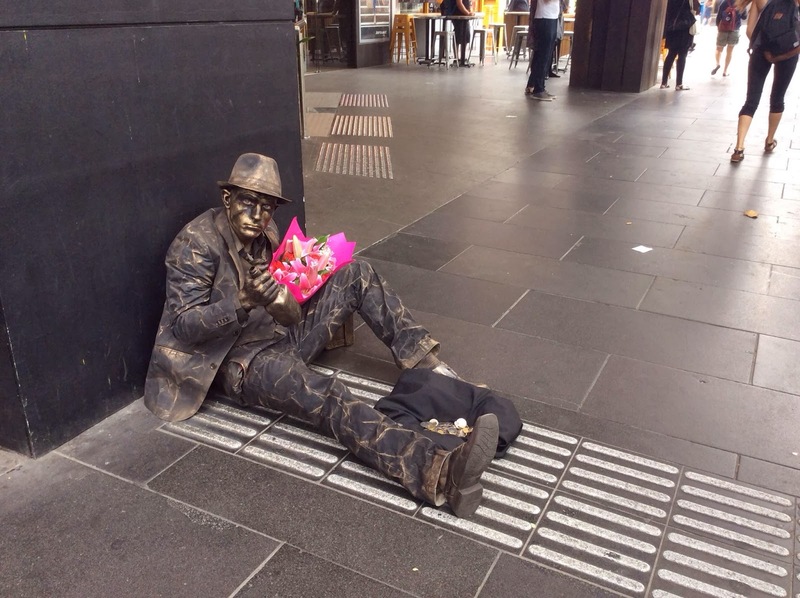 Melbourne has some awesome Buskers and street performers, my favourites, are the living statues. Heading home from work today in Melbourne central i saw this fella, he's often around, lounging about. He was holding one of the Bouquets of flowers from the flower shop behind him, which contrasted with his solid form wonderfully. Hopefully i can get more shots of our awesome buskers and performers during my visits to Melbourne city.